Precision tape has high heat resistance, wear resistance, resistant to moisture, industrial gases, suitable for use as a heat-resistant alloy in corrosive environments. Due to the high electrical resistance, precision strip is widely used in the production of resistance elements for thermo-Converter and high-precision devices. Also used the alloy type H15YU5, KH23JU5, H15N60, H15N60-H, CR20NI80-H, KH27JU5T, KH23JU5T, KHN70JU-N, KHN20JUS, nichrome, resistant, ferrochrome. Buy precision tape of any brand can be on our website. All products from our company passed the certification. In the technical documentation included data on composition, mechanical quality and content of impurities. Buy tape precision from the vendor Electrocentury-steel can wholesale or retail. On the website reflected the price and mix of products to date. All products are certified and meet the highest standards. 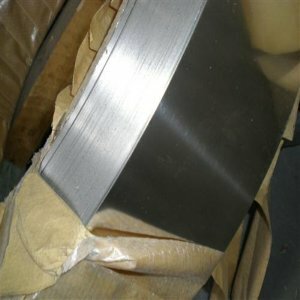 Excellent product quality and reasonable price — face provider Electrocentury-steel. Regular customers can purchase a tape of precision, using a discount system of discounts from the company Electrocentury-steel. Delivery is carried out from warehouses located in Russia and Ukraine.